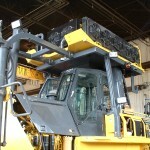 Trinity Electronics manufactures custom fan controllers for earth moving equipment. The controllers prevent over-cooling and wasted engine power by adjusting the fan speed to match the engine or transmission temperature. 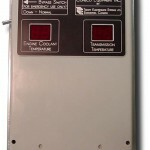 The controllers can be 12 VDC or 24 VDC and accommodate a range of motor currents. Temperature sensors measure engine or transmission temperature and start the fan at low speed once the lower temperature threshold has been crossed. 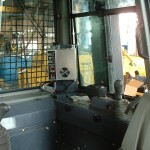 As the machine heats up, the fan speed will increase in an attempt to maintain temperature in the target zone. 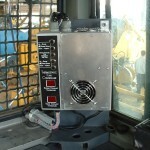 As more heat is produced, the fan speed will increase until the maximum speed has been reached. 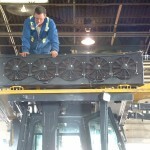 The fan then remains at full speed until the measured temperature falls below the maximum threshold. The original model FC-516-F4S (shown to the left) has been replaced by the more powerful model FC-516-HD (shown below). Click any image to see a larger version.